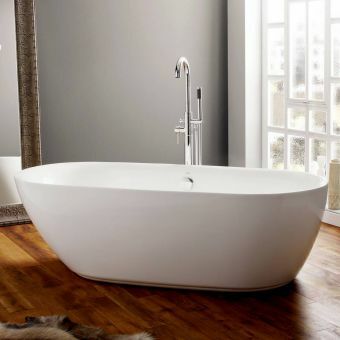 A freestanding bath tub is one of the most luxurious items that can be brought to the bathroom space. 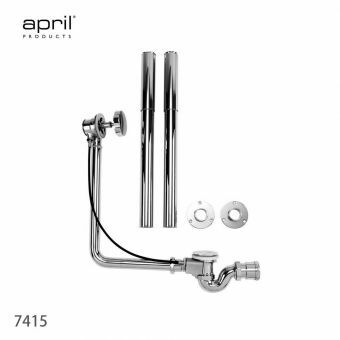 Presented here by April in two lines with their own distinctive characters, their contemporary and traditional items are individually listed with accessible price points. 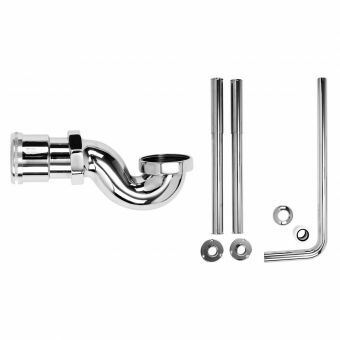 Options for units with or without decorative feet give the user the scope to fit these pieces in with their specific design vision and the character of the bathroom as a whole. 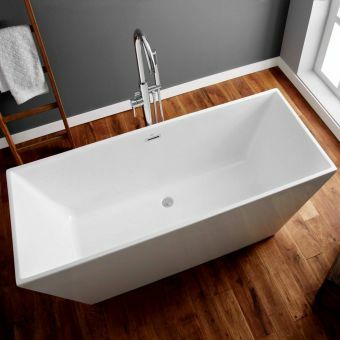 Different tubs are compatible with different brassware arrangements, from deck mounted sets to tall bath fillers and wall mounted sets. 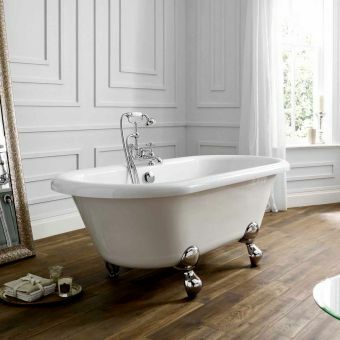 Each bath is built to last, and their tasteful designs will remain relevant for years to come whether you choose a modern classic or a period piece. 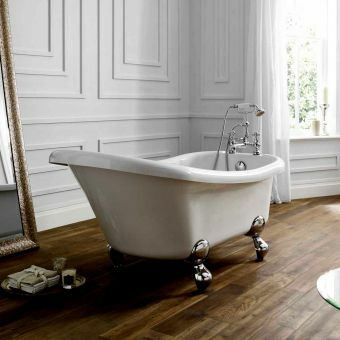 Please note that each bath is supplied without taps or a waste trap, so please be sure to inspect our range of compatible brassware options to find the perfect counterpart for these highly desirable pieces of bathroom ware. 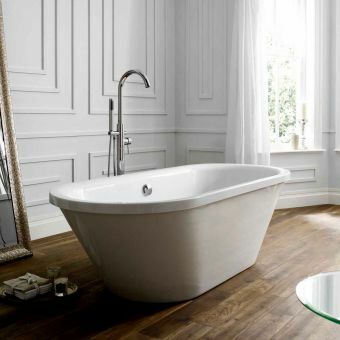 The modern, luxury bathroom deserves a modern, luxury bathing space. 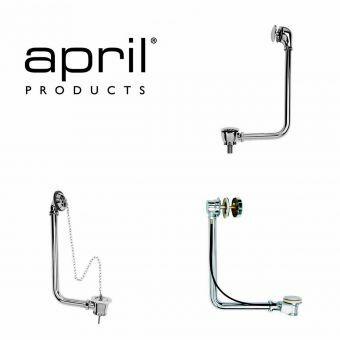 This collection of stunning pieces from April delivers just that, with expertly designed and made units providing comfort and style at affordable prices. 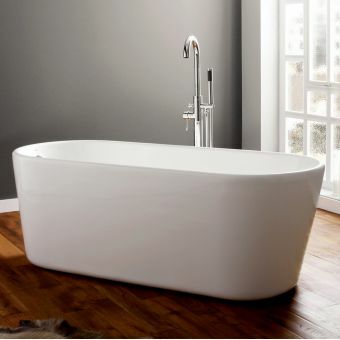 Allowing the materials and the units to speak for themselves, April baths have a purity of form with their simple shapes giving them a graceful beauty. 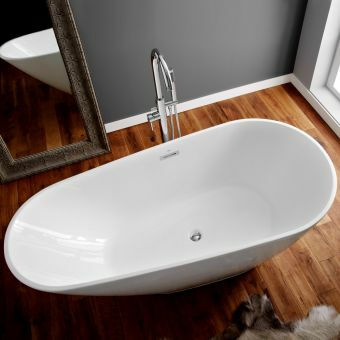 Pleasing both on the skin and to the eye, slipping into one of these tubs after a long day at work or leisure is the perfect way to unwind in total luxury. 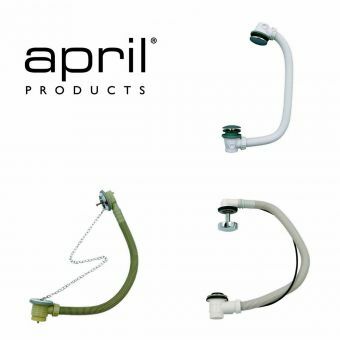 Demonstrating the design philosophy behind the range are the April Cayton and Brearton models. cast into simple shapes that offer both comfort and support when used. Retaining their heat well, it is possible to soak for ages in complete comfort. Representing the luxury end are the April Airton and April Danby tubs, with deep aspects and a commanding presence.